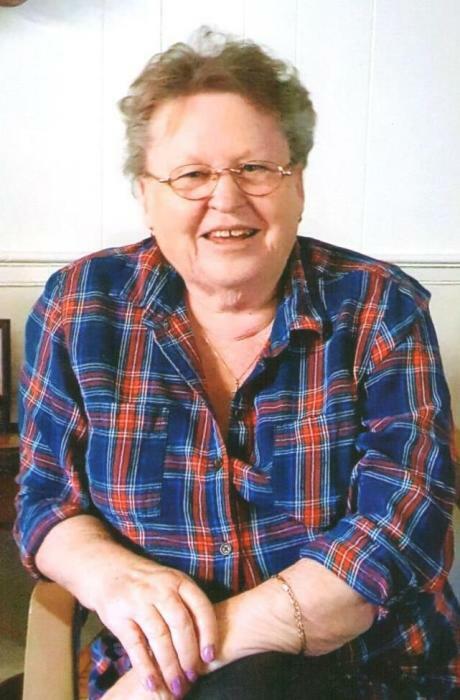 Wanda Crowley Owens, 80, of Stanford, KY passed away on Wednesday, March 20, 2019 at Fort Logan Hospital in Stanford. Born July 21, 1938 in Stanford, KY to the late Jefferson “Linza” Crowley and Edna Naylor Crowley, she was a former employee of IGA where she worked in the bakery. Survivors include two sons, Mike Owens (Donna), and Jeff Owens (Jessi) both of Stanford, KY; two daughters, Kimberly Owens of Stanford, KY, and Rhonda “Gidge” Owens of Lebanon, KY; two brothers, Frank Crowley (Betty) of Casey County, KY, and John L. “Jack” Crowley of Stanford, KY; ten grandchildren, Shawn Owens, Mischa George, Shannon Jenkins, Jessie King, Mackenzie Ziegert, Janson Owens, Cloe Owens, Ryliegh Owens, Jensen Mason, and Corey Mason; nine great-grandchildren; and several nieces and nephews. In addition to her parents, she was preceded in death by a daughter, Linda Owens-Grogan. Visitation will be Friday, March 22, 2019 at Spurlin Funeral Home Chapel, Stanford from 5-8pm. Funeral service will be 1pm Saturday, March 23, 2019 at the funeral home with Bro. Mike Yocum officiating. Burial will follow at Buffalo Springs Cemetery in Stanford. Casket bearers will be: Shannon Jenkins, Corey Mason, Shawn Owens, Jessie King, Chris Crowley, and Clayton Crowley. Honorary bearer is Janson Owens.